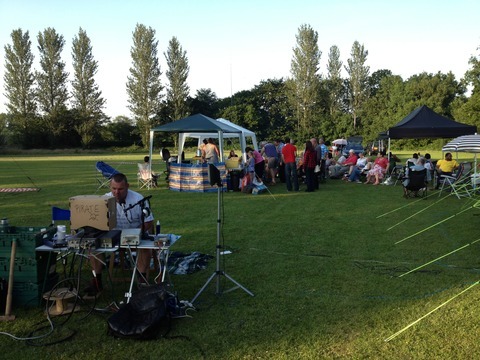 Thanks to everyone who turned up to put a great show on for Wythall Radio Club’s IOTA entry. We made nearly 600 contacts all over the world and generally had a good time. 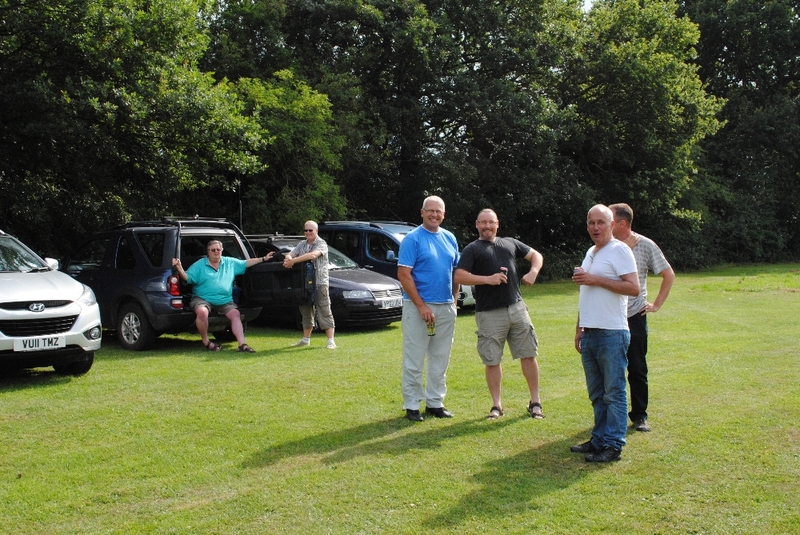 Operators included James M0YOM, Lee G0MTN, Stan G4JGV, Dave G3YXM, Mark M0MSE, Rob 2E0MEX and myself, Callum M0MCX. I may have missed someone, please let me know. 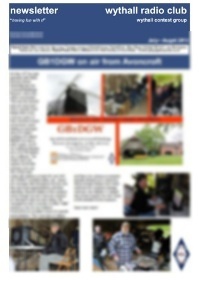 I’ll do a write up for the next Wythall Radio Club newsletter. In the meantime, a picture tells a better story anyway! 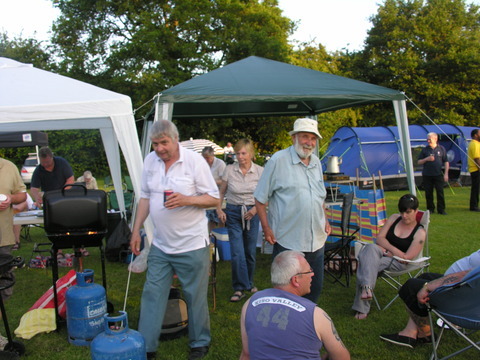 Members of Wythall Radio Club have been living up to our club motto and having lots of fun with RF this weekend with our “Islands On The Air” station, M5W. 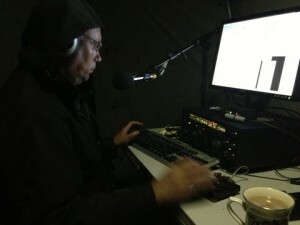 Stan G4JGV on the “Graveyard” shift! Masterminded by Callum M0MCX, a hardy group of members has been up on Wythall Park all weekend, braving the rain to try to make as many contacts as they can, while remaining as dry as possible! Stan G4JGV was reportedly on air all night on SSB and CW, whilst Rob 2E0MEX, Mark M0MSE, Dave G3YXM and of course, Callum M0MCX and others took turns on the microphone. 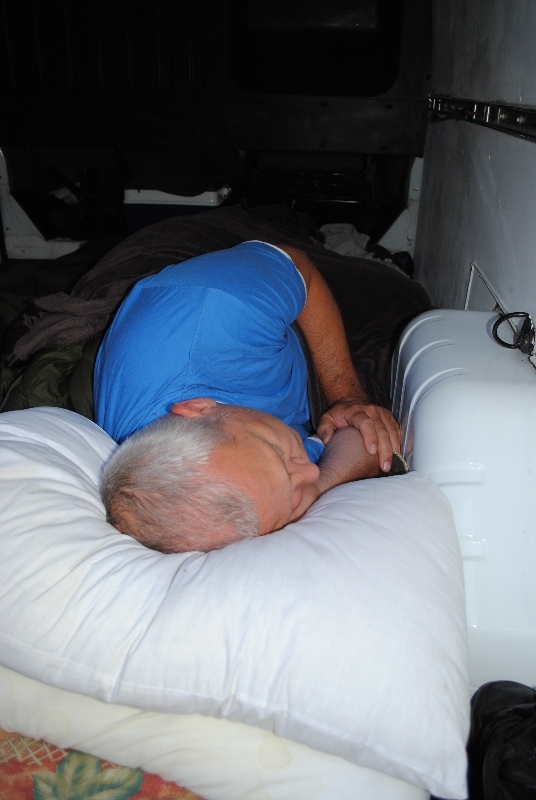 James M0YOM and Lee G0MTN also helped out and gave some of the overnighters a little rest! 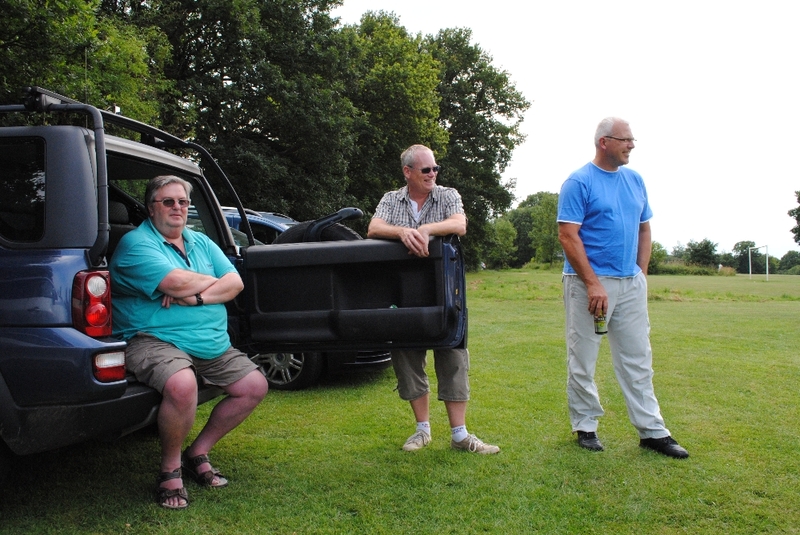 Other members lending support included Colin M0GJM, Mike G4VPD and John G4OJL. Needless to say, the intrepid team have been somewhat damp(!) but are now drying out after a busy weekend. It doesn’t help when the coaxial cable needs changing in the middle of a downpour! 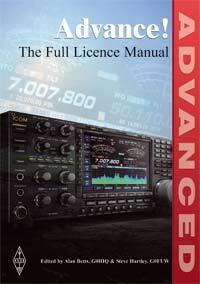 Advance to the Advanced Licence! 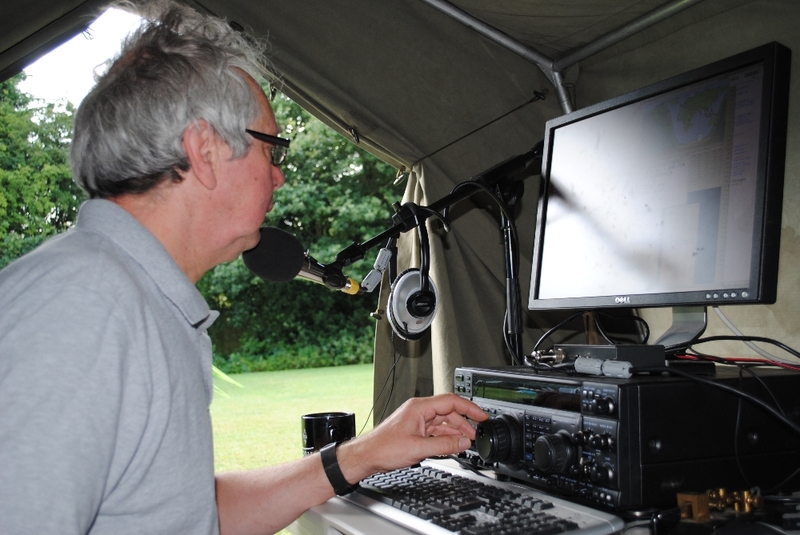 We are pleased to announce that Wythall Radio Club will be running an Advanced License Course this autumn. The classes will begin on Monday 2nd September 2013. The 14 week course is delivered in the club shack on Monday evenings from 8.00pm – 10.00pm, though you should note that there are a couple of Saturday morning requirements during weeks 7 and 13. The actual Advanced Examination is scheduled for Friday December 6th at 7.00pm. The total cost of the course is £60. This includes the official course book, course materials, exam fees and all admin costs. If you are an Intermediate Licence holder and you are interested in doing this course, please contact Wythall Radio Club’s Training Co-ordinator, Chris G0EYO at [email protected] as soon as possible. 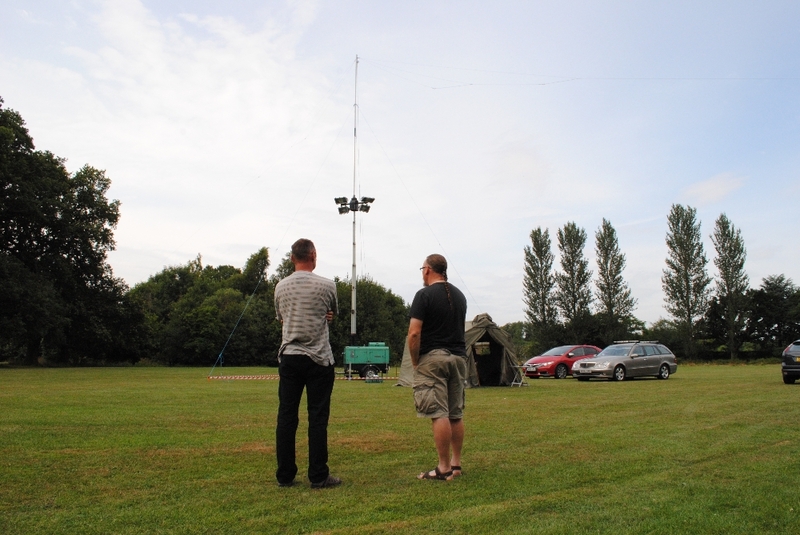 This coming weekend, 27th and 28th July, sees Wythall Radio Club members taking part in one of the premier international contests of the year. 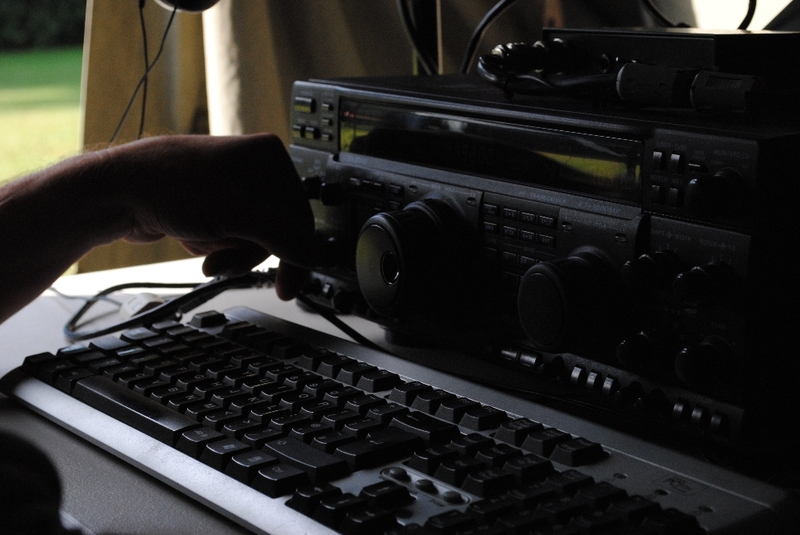 “Islands on the Air” is the Radio Society of Great Britain’s international contest event. It involves working as many islands as possible during the weekend and is hugely popular all over the world. 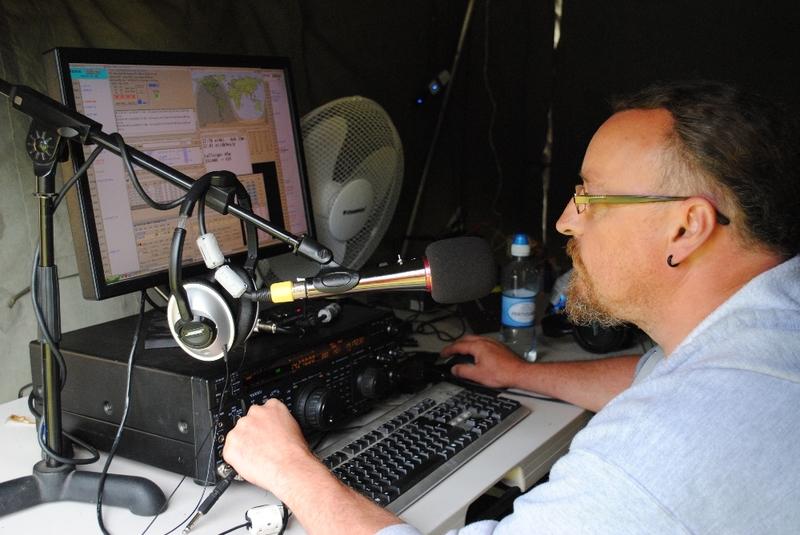 Wythall Radio Club member and top UK Contester, Lee G0MTN, is planning to enthuse us all to have a go in this year’s event with a talk this Tuesday evening. 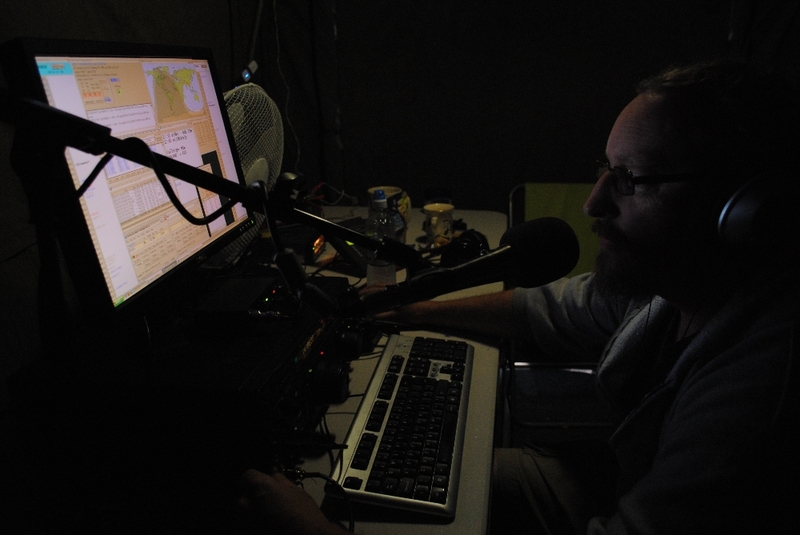 Entitled “IOTA Contest Tales from Four Countries” , Lee will be taking a retrospective glance at the contest and some of his own personal activities in it over the last 15 years! It will be a very relaxed evening with lots of photos and tales of putting together both large and small stations in different part of the world. Just what we need to get us into the IOTA mood! 2030 this Tuesday in the shack at Wythall House, Silver Street, Wythall B47 6LZ. If you are reading this and have been contemplating popping along, this would be a great evening to be a first-time visitor! 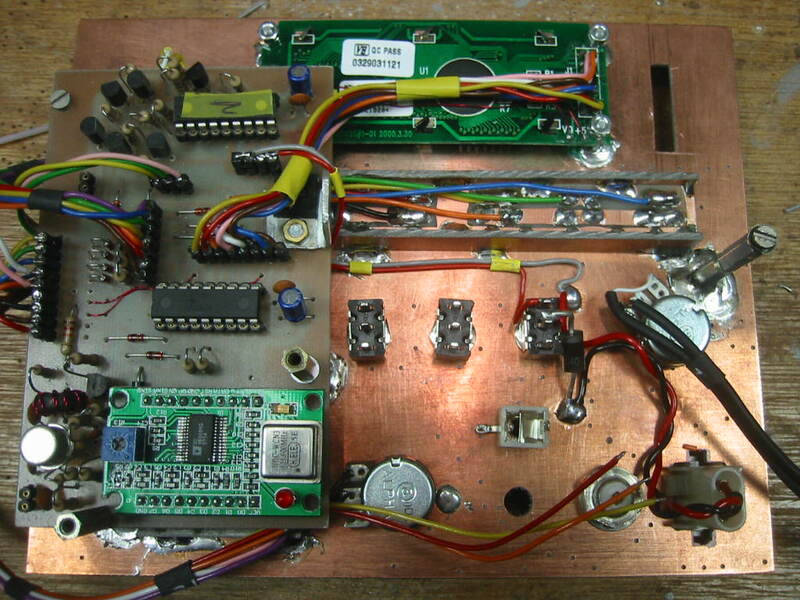 Wythall Radio Club member Barry M0DGQ is not one for sitting around idly in his hobby. 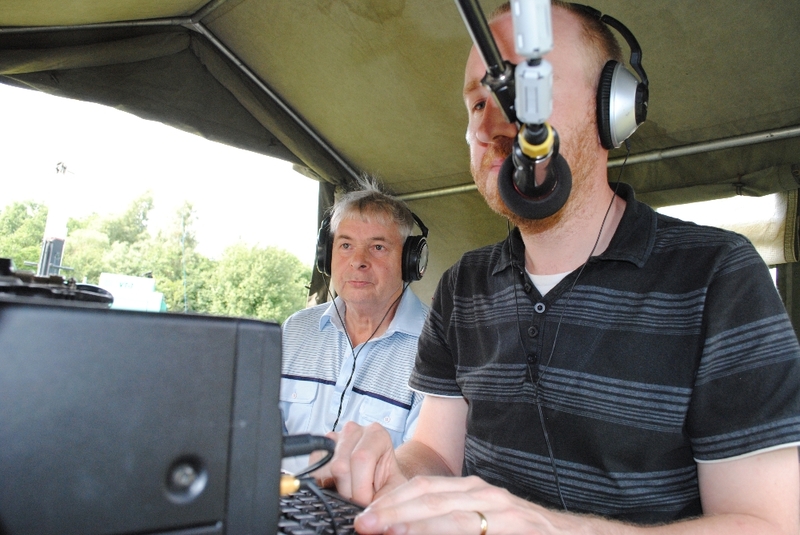 Most club members know Barry as one of the leading lights in our Morse Code revolution, but he is also well known in Wythall Radio Club and indeed around the UK, for his construction exploits. 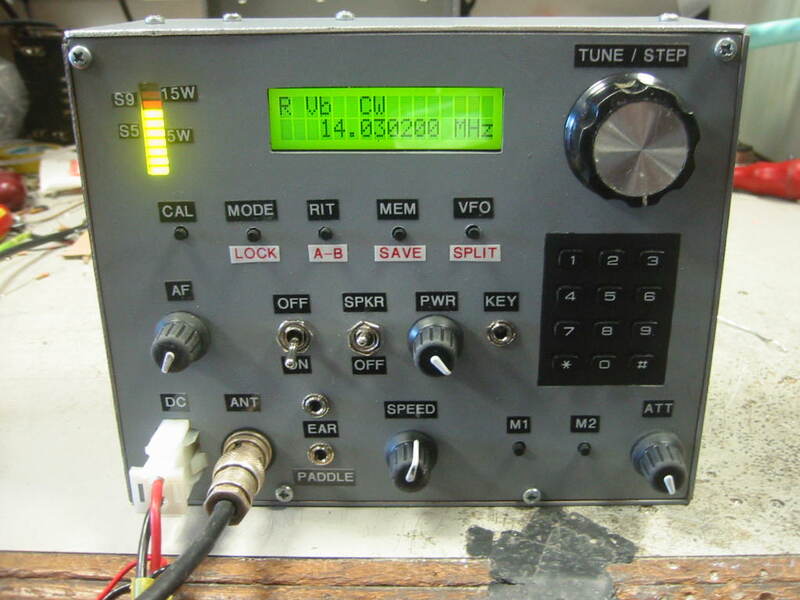 His latest “bit of fun” is a new Morse Code transceiver, primarily for use on holidays. It is small and lightweight, thus making it ideal for air travel. 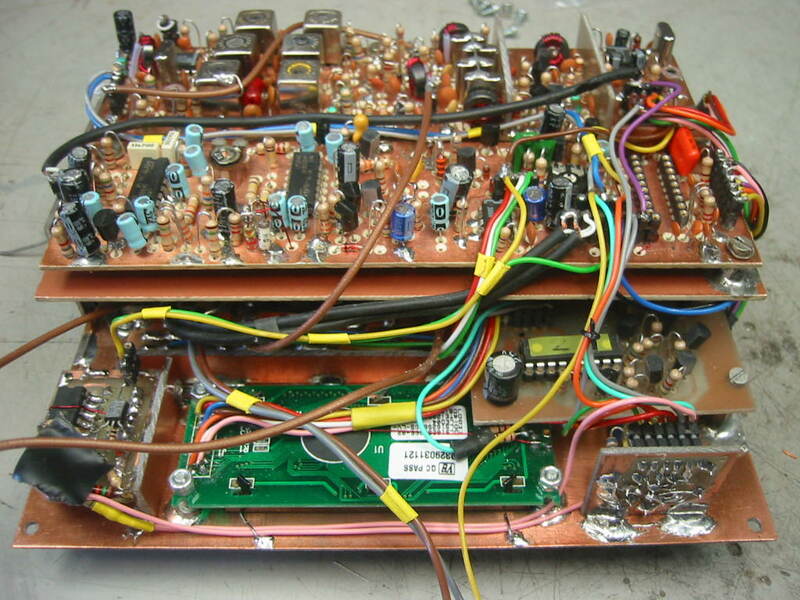 Covering the 40m, 20m and 10m Amateur bands, it is capable of a full 20 watts output power – a very useful amount given its design brief. 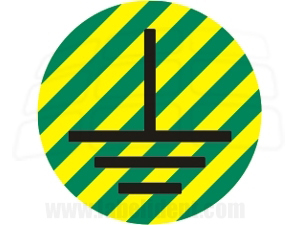 With full CW break-in and a measured 1 microvolt sensitivity, this represents a fantastic piece of kit. 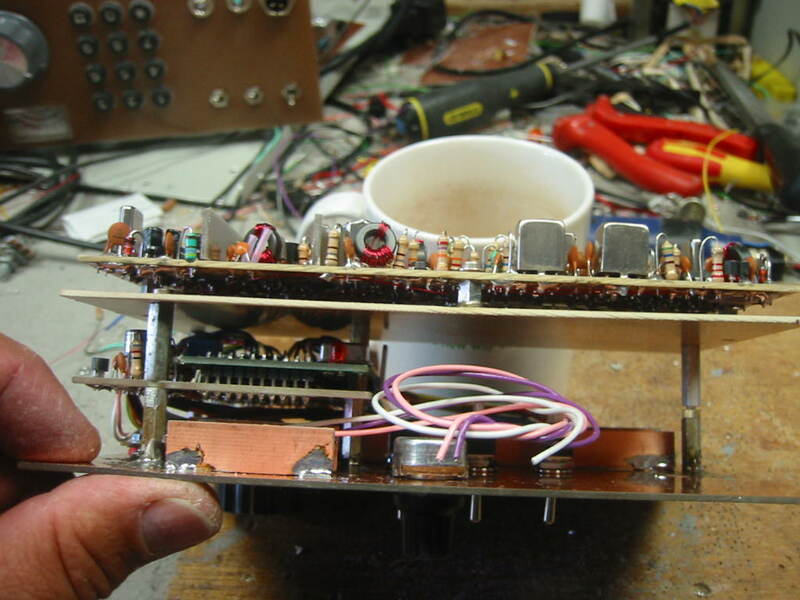 Listen out for Barry this summer – you may well be working him on a radio he built himself! In the rush to become a licensed Radio Amateur and get “on the air”, it is all too easy to overlook some very important aspects of safety. The possibility of a lightning strike for example, is something that all Wythall Radio Club members should be aware of. 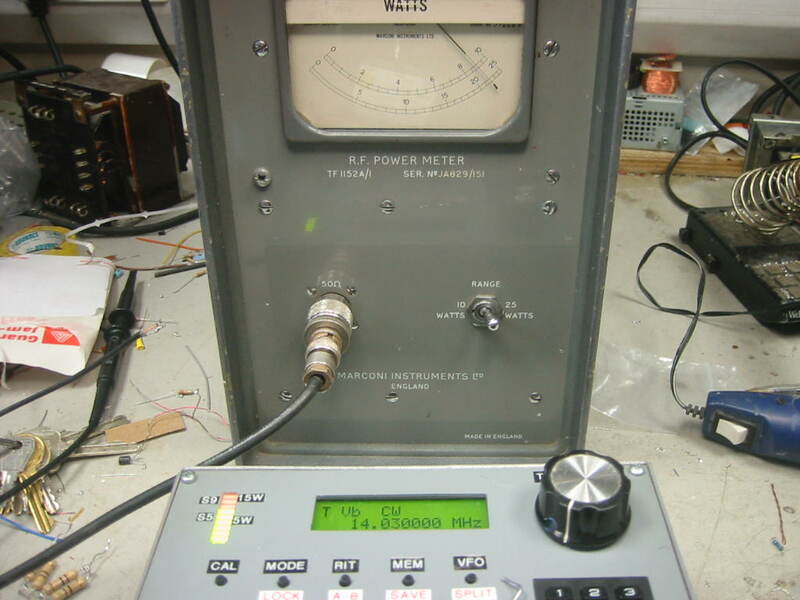 But another area for some essential knowledge is in that of the role of Earthing in the Ham Radio station. So this Tuesday at Wythall Radio Club, we have a specialist Guest Speaker coming to visit us to demystify these aspects of our hobby. Mack M0CUS BEng CEng M.I.E.E is our guest speaker and as an Electrical specialist, there isn’t much he doesn’t know about this subject! We are expecting another fascinating talk and visitors are of course very welcome. Tuesday 16th July at 2030 in the Darts Room at Wythall House, Silver Street, Wythall B47 6LZ. We hope to see you there! 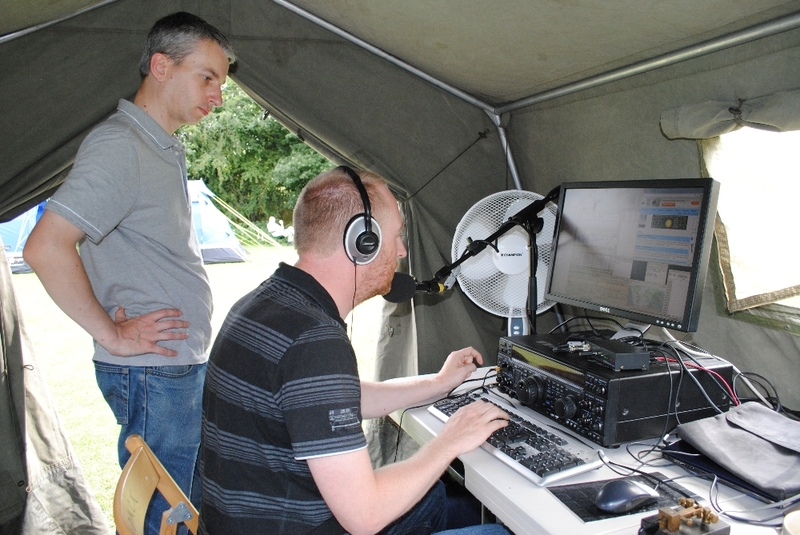 Further to the great news in the last post, we have now heard that Mark 2E0MSE has passed his Advanced exam so he joins the ranks of the Wythall Radio Club Full Licence holders. 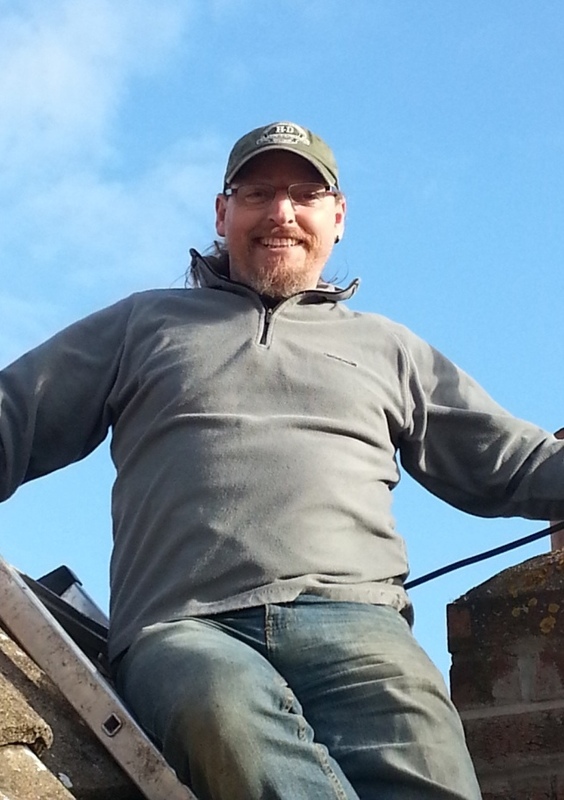 Mark has been studying hard over the Spring and Summer via the Distance Learning Course run by Steve G0FUW from Bath. 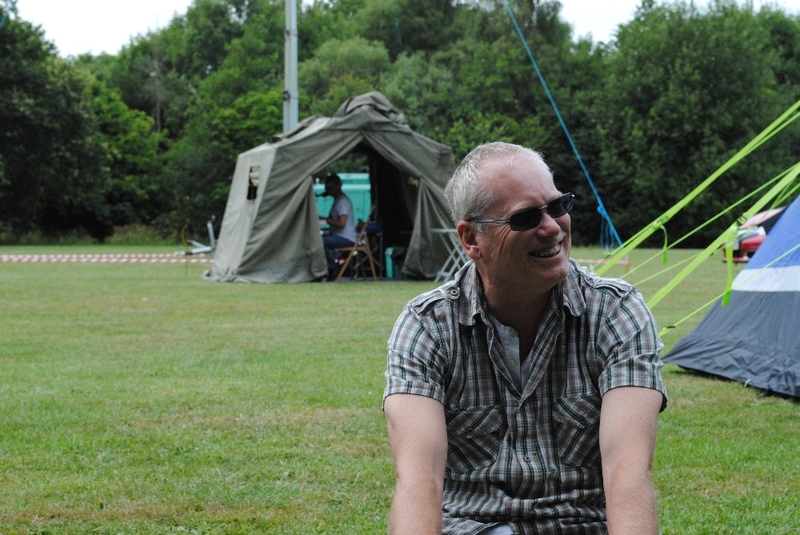 Wythall Club Member Chris G0EYO is a tutor on that course and was Mark’s mentor for the duration of it. So we welcome Mark as M0MSE to the fold now. 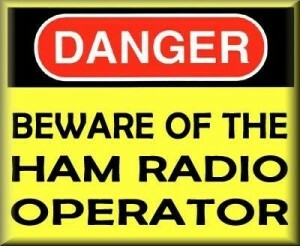 With all these new callsigns, Wythall Club members are going to be having a hard time remembering them all! 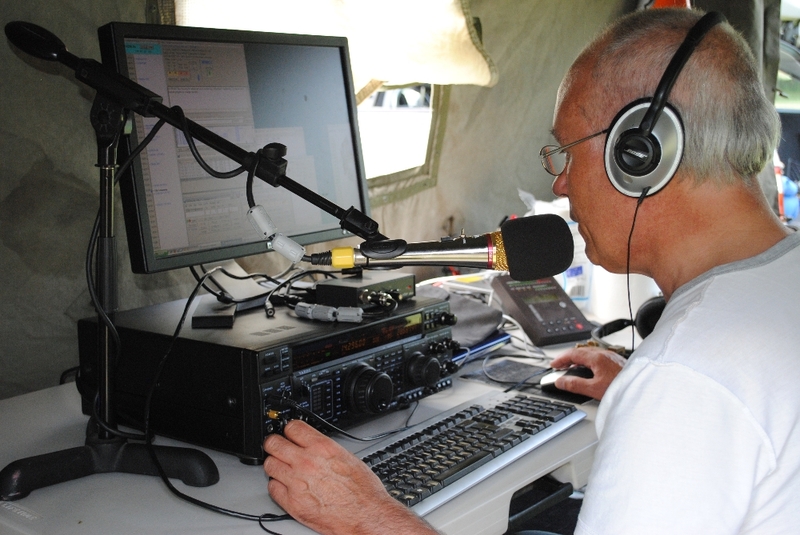 Wythall Radio Club is pleased to announce that Dawn, wife of club member John M1JSS, has now received her Foundation licence callsign. 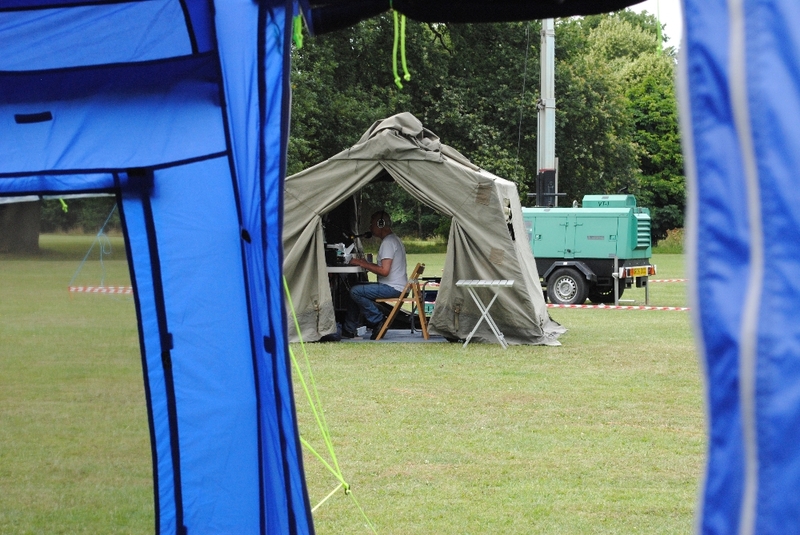 She will be joining the ever growing ranks of female Wythall Radio Club members with her new callsign, M6UDY. Dawn finally received her callsign late yesterday but by 8pm had apparently already used it on air. 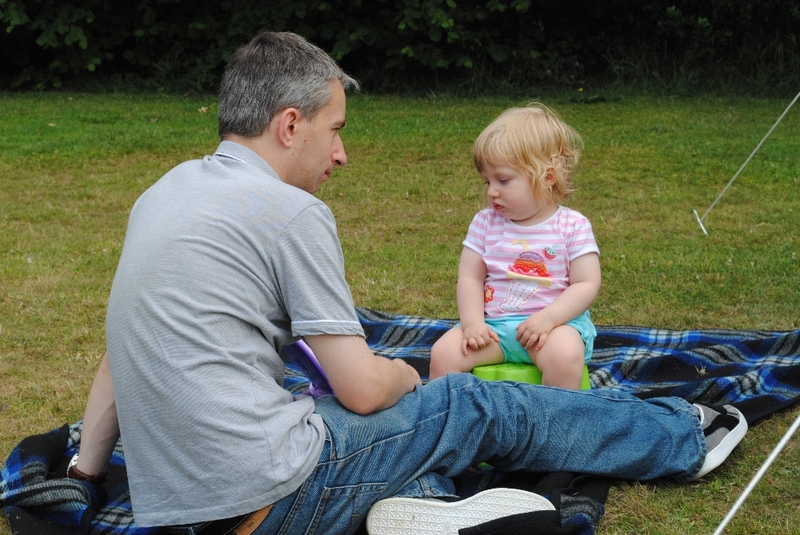 We are all looking forward to hearing her on air from her home location near Bromsgrove and maybe mobile too! 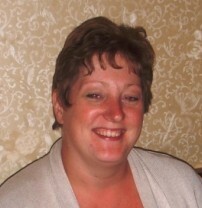 Congratulations Dawn from us all at Wythall Radio Club and here’s to many happy years “on the air”! 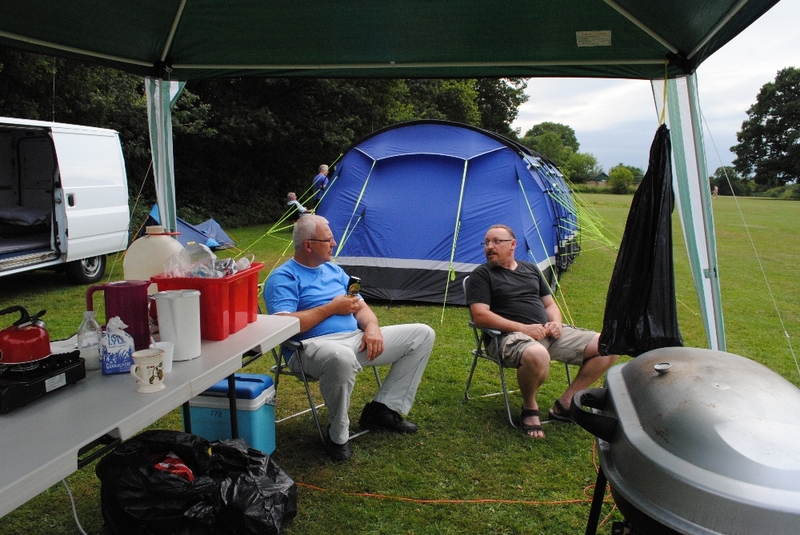 Members of Wythall Radio Club have been having lots of fun this weekend! 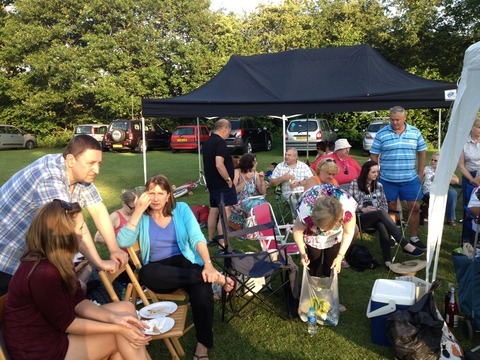 Making the most of the fantastic weather on offer in the UK at the moment, our members took to a field in Wythall Park to have a weekend of “playing radio”. 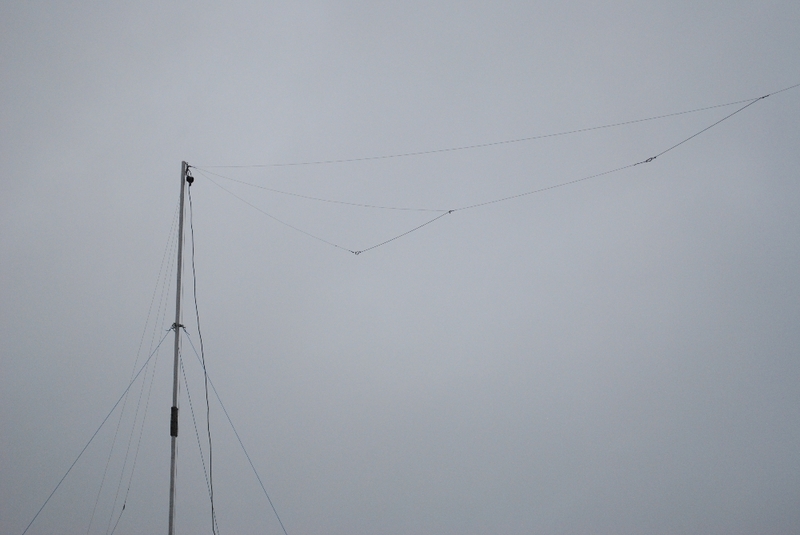 Two radio stations were built to take part in the UK’s National VHF contest with masts loaded with various antennas for several bands. 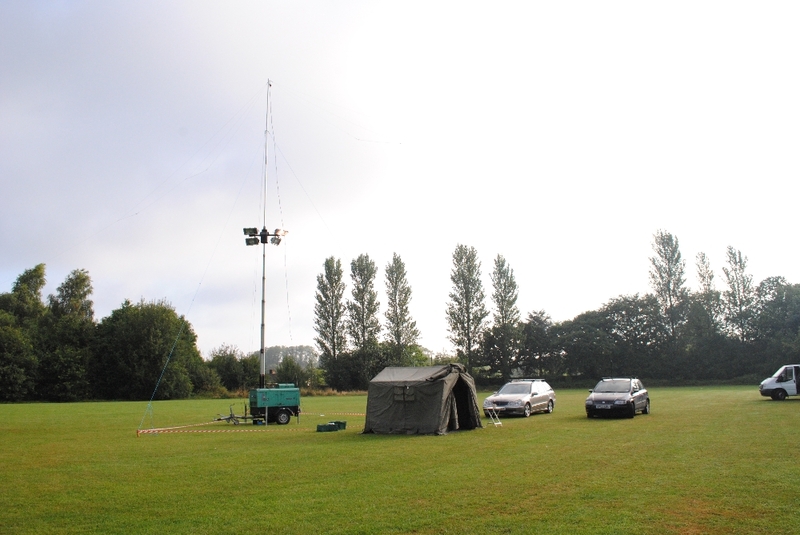 Members also bought along their own personal masts and portable stations to make a number of short-wave stations. 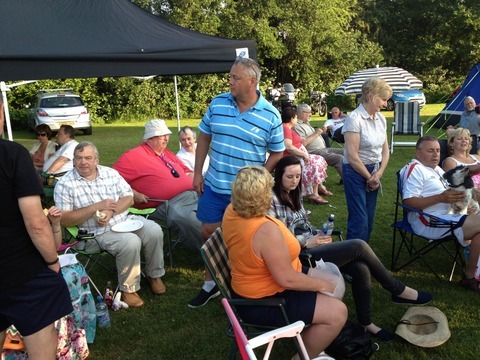 Much fun was had at the Saturday Night Barbecue with around 64 folk attending, making this year’s Field Day one of the best in living memory, according to some of the longest standing members. 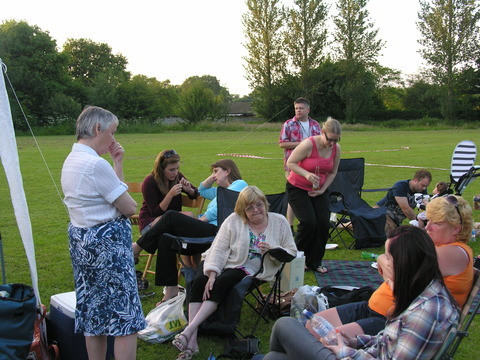 The fun we had and the people whose company we enjoyed will live long in the memory. 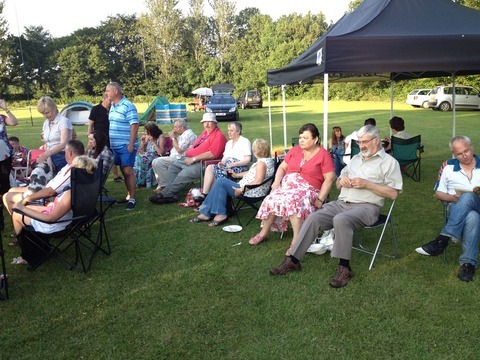 Another highlight this year was a prize raffle for club funds with prizes donated to the club from Kenwood (UK). 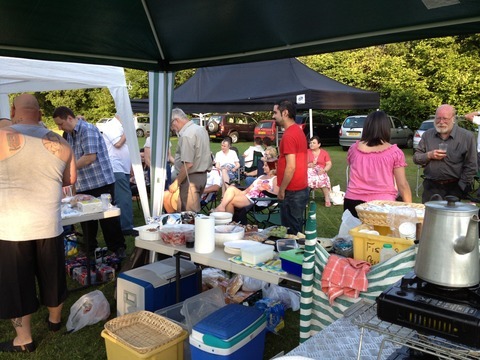 It has to be said that the Kenwood items were the most coveted in the raffle and were the first to be gone! 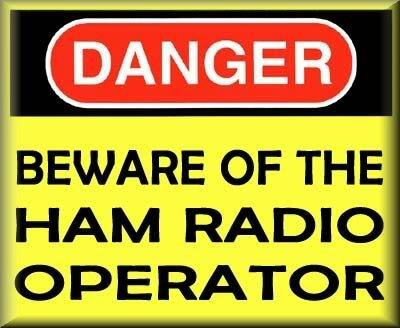 Further to the news below about our 5 recent Foundation Licence successes, the new Wythall Radio Club Members’ callsigns are beginning to appear on the air! 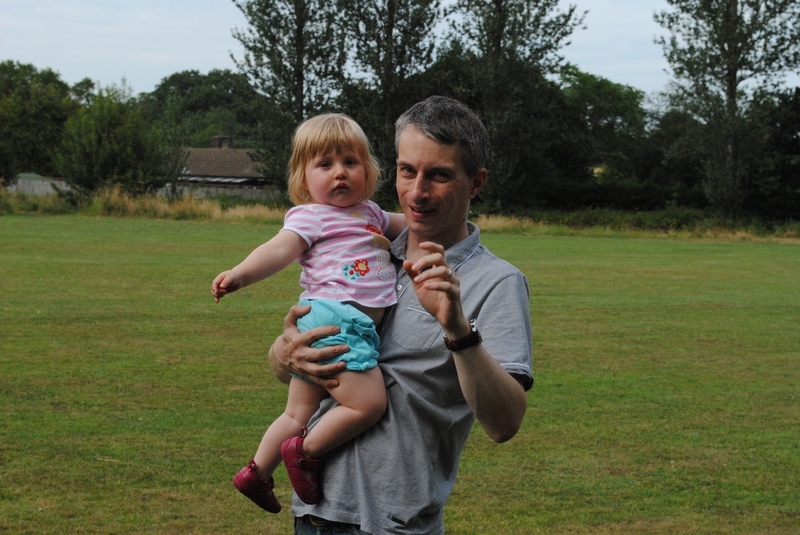 Also to George Ifrim, (our first Roumanian Member!) now M6LTE and Kevin Tonge who has chosen M6NCO. 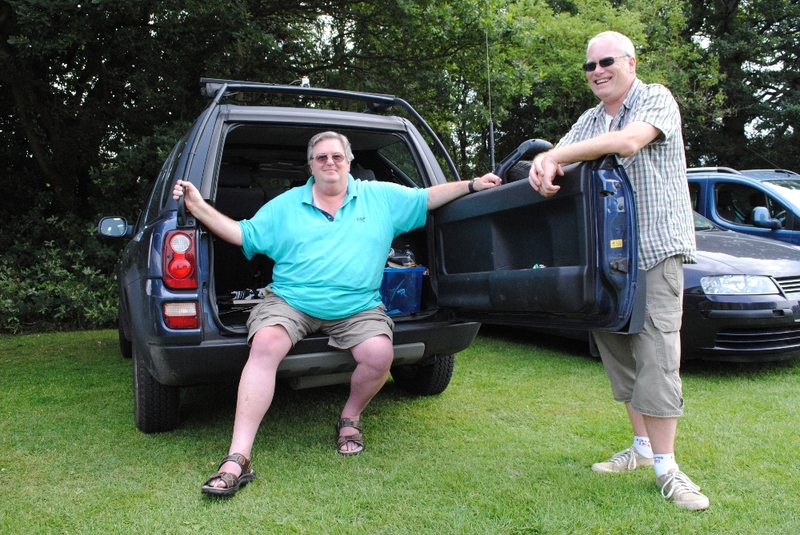 Kevin has a proud Dad in Jim 2E0BLP who is a long-standing and valued senior member of Wythall Radio Club. 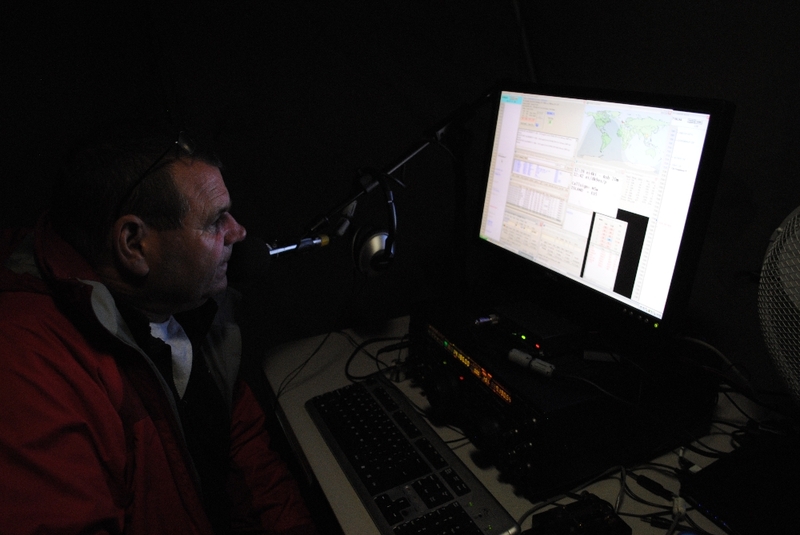 Finally John Daws’ new callsign is confirmed as M6KET.